NPR acquired the Spanish-language podcast Radio Ambulante, hosted by Daniel Alarcón, in 2016. The Research Archive and Data Strategy team is seeking funding to digitally preserve more than 500 hours of tape of Enfoque Nacional. "I would do whatever it takes to make sure that my language is translated and archived, that people know about it," said RAD chief Laura Soto-Barra, who is originally from Chile. In 1988, NPR canceled its nearly decade-old Spanish-language weekly newsmagazine, Enfoque Nacional, citing lack of interest and funding. A Los Angeles Times article about the decision highlighted the controversy with the headline: "NPR Slammed for Canceling Program." In 1990, about 17.3 million people in the United States spoke Spanish at home. Three decades later, that number has more than doubled; in excess of 40 million U.S. residents speak Spanish at home, or about 13.3 percent of the population over the age of five, according to 2016 U.S. Census Bureau data. Although most are bilingual, speaking English is a reach for more than 16 million of those Spanish speakers. Spanish increasingly pervades national culture, and commercial Spanish-language radio stations are thriving in major cities across the country. What does that mean for NPR, whose original mission statement included the goal to "speak with many voices and many dialects" and more recently has pledged to "sound like America"? Its on-air Spanish-language ventures such as Enfoque Nacional remain in the past, but the digital era has offered up some different opportunities. Here are some of the ways NPR and member stations are approaching the issue, along with thoughts about it from some in the public radio community. In 2016, NPR began distributing the Spanish-language podcast Radio Ambulante. 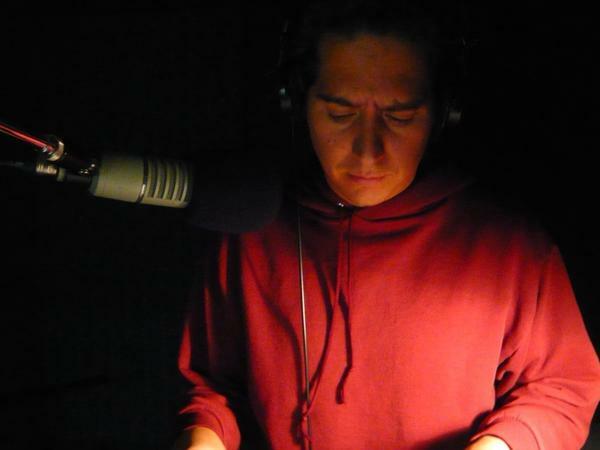 The show, which bills itself as "Latin American stories in sound," is hosted by writer and journalist Daniel Alarcón. It tells stories from places like Lima, Peru; Buenos Aires, Argentina; and Havana, as well as Oakland, Calif., and small-town Maine. Episodes have included stories about young men who immigrated to New York from Mexico and joined the punk scene, life in a Venezuelan prison and the struggle of indigenous people in Chile. The show is currently in its second season with NPR, releasing new episodes weekly. NPR has a three-year agreement with the podcast, and Anya Grundmann, NPR's vice president for programming and audience development, said the relationship is something of an experiment. "If we can find a strong audience for this, then I think it would open the door to seeing whether we should do more," she said. "But this is us walking into this space and trying to navigate it and figure out the best ways to do it." The podcast's chief executive, Carolina Guerrero, said there has been a 51 percent increase in monthly downloads of the podcast since joining NPR. The episodes typically garner more than 50,000 downloads in their first four weeks after release, with 29 percent of those downloads from outside the U.S. When the NPR Twitter account tweeted about a Radio Ambulante episode in Spanish, one follower responded, "Aveces no me doy cuenta en que idioma estoy leyendo [Sometimes I don't realize which language I'm reading]. NPR in Spanish? Cool." Grundmann said podcasts are the most appropriate way for NPR to incorporate Spanish because the vast majority of NPR member stations are English-only. "We're basically an English-language American broadcaster trying to bring in all perspectives," Grundmann said. For that reason, she said it's unlikely NPR listeners will again hear news content entirely in Spanish on the radio as in Enfoque Nacional days. Guerrero said she's often asked why they don't produce the podcast in English. "My answer is: The fact that you don't or you can't understand the language doesn't mean that we are not real," she said. "We decided to create this project living in the United States because we knew that this kind of journalism that we produce needs to be told in the voice of the protagonist of the story." While NPR content on-air is intended for an English-speaking audience, Spanish language is heard, albeit briefly, when Spanish-speaking sources are interviewed. "So many of the disasters and political events in this country affect primarily Spanish-speaking communities," Code Switch reporter Adrian Florido told me. A native Spanish speaker, he traveled to Houston to cover Hurricane Harvey and to Puerto Rico to cover Hurricane Maria this year, speaking Spanish with sources in both places. He told me when he includes a Spanish sound bite in a piece, he encourages audio producers to let the Spanish run for several seconds before dipping it beneath English interpretation. There's an example here, in his piece about a victim of the Pulse Nightclub shooting in Orlando last year. "The thing we love about radio is how intimate it is, right? But that removes a lot of the intimacy if you have someone translating or interpreting for someone," Florido told me. He felt particularly strongly about the effect of translation on an interview with immigrant rights activist Jeanette Vizguerra earlier this year. Vizguerra moved into a Denver church to avoid deportation to Mexico, and soon became a figurehead for the sanctuary movement. Much of her interview with Florido focused on her frustrations with having others speak on her behalf. Florido was cautious about how to present her voice in the piece knowing about those frustrations. "This is not just a victim who is passively a player in her story," Florido said. "She's actually the one who's making a lot of the decisions and navigating this relationship with churches and trying to maintain control of her own life." In the All Things Considered story about sanctuary churches, Vizguerra speaks through an interpreter. In the Code Switch episode, a voice-over actress interprets some of her words, but, as Florido said, "A lot of times, the profundity of what someone is saying in Spanish can't possibly come across because you're only hearing snippets that then are taken under a voice-over." In order to give people the opportunity to hear all of what Vizguerra had to say, he and the Code Switch team decided to publish the entire original interview online as well. "For this Podcast Extra, we're putting that interview out there in Spanish, so you can hear Jeanette in her own voice," Florido says at the start of the 14-minute extra episode. The Code Switch team told me they received several appreciative tweets, emails and Facebook comments from Spanish-speaking listeners after releasing the extra episode. Claudio Sanchez, an NPR Education correspondent who also reported for Enfoque Nacional, told me he avoids using word-for-word translations spoken by voice-over actors in his pieces. "You don't just want the literal translation of something because we know that the original Spanish has its subtleties, its nuance, its tone," he said. For accuracy's sake, he prefers to interpret Spanish-language sound bites himself in his voice, like in this piece about students from Puerto Rico who enrolled in Florida schools following Hurricane Maria. "I know the language," he said. "And I was there. I interviewed the person." Lulu Garcia-Navarro, a former NPR international correspondent and now host of Weekend Edition Sunday, said she's used multiple approaches to translations, and different situations call for different strategies. She said when the words are from a government official, or if there are multiple sources in a piece, it's more appropriate to use a voice actor and a voice-over rather than interpreting the sound bite herself. Garcia-Navarro is the first Latina to host an NPR newsmagazine. (When I called her role "pioneering," she quickly responded, "It's 2017. I would hardly call it pioneering. We're enormously late to that game.") When she speaks with bilingual interviewees in Spanish, she does what she can to make sure that that part of the conversation is heard. "I will always make a point, you can ask my producers, I want to hear myself speaking Spanish," she told me. Regardless of how Spanish-language sound bites are approached on-air, they are transcribed on NPR.org as simply "(Speaking Spanish)." NPR uses an external vendor, Verb8tm, to produce transcripts for use on the website and in the archive. The service transcribes all non-English sound bites with a similar parenthetical. I asked the chief of NPR's Research Archives and Data Strategy department, Laura Soto-Barra, about the possibility of transcribing Spanish-language bites as they're spoken, given the prevalence of the Spanish language and Spanish speakers. She was intrigued by the idea, calling it "a good point," but she brought up the potential inconsistency of transcribing just one non-English language and not all the others heard on NPR. The situation is a bit different at some NPR member stations, especially those serving communities with sizable Spanish-speaking populations. KRZA in Alamosa, Colo., for example, broadcasts in both Spanish and English, carrying syndicated shows from different networks in each language. Member station KUNR in Reno, Nev., is experimenting with Spanish-language content thanks in part to a grant from the Online News Association, a group that supports digital journalism, and a partnership with the Reynolds School of Journalism at the University of Nevada, Reno. The station created a bilingual internship program that employs up to two student reporters who produce features that air on the radio in English and are available in Spanish online. "If my goal at the end of the day is to serve as many people as I can in my community, and I've got a language barrier with a significant portion of them, I would like to figure out a way to serve them," said Michelle Billman, the station's news director. In Washoe County, where KUNR is located, almost 17 percent of the population speaks Spanish (higher than the national average). According to the Census Bureau, more than 28,000 of them speak English "less than 'Very Well.'" The Spanish coverage the station is able to offer is too modest to be relied upon for keeping apprised of daily events in the area. The interns who provide that coverage work part time, and translation time can be lengthy. But Vanessa Vancour, a professor at the Reynolds School and editor of the school's bilingual news site Noticiero Móvil, said focusing on reporting in Spanish helps the newsroom produce better, more comprehensive coverage, not just access people who don't speak English. "Having these young bicultural and bilingual people in the newsroom I think has presented stories that [KUNR] may not otherwise cover," she said. So far, the bilingual interns at KUNR have covered the economic impact of the quinceañera industry, a forum on immigration issues in a Reno church and an exhibit featuring Latino tattoo artists, among other stories. "I think the goal is to pitch ideas that are probably pretty well-known within the Spanish-speaking Hispanic community, but that may not be on [KUNR's] radar because that's not where they're engaging at the moment," Vancour said. By contrast, member station WLRN — located in Miami-Dade County, Fla., where more than 60 percent of people speak Spanish at home — does not offer content in Spanish. "We're an English-language product," said Vice President of News Tom Hudson. "The things that WLRN does and the things that public media is known for are things that are attractive to all audiences." He noted they do reimburse newsroom personnel for Spanish classes for reporting, but said they wouldn't consider offering bilingual programming without the proper resources. "It could come off as inauthentic." That issue of authenticity is a challenge at all levels. Lulu Garcia-Navarro cautioned that "Spanish Language" is not a genre. "We for too long in this country and among the media have looked at the Latino community in this very monolithic way," said Garcia-Navarro. "I hope we're getting to a place where we understand that there is a great difference between the Mexican-American community and the Cuban-American community and the interests of the Venezuelan diaspora and the interests of the Puerto Rican diaspora." The Spanish language itself is so diverse that producers at Radio Ambulante occasionally run into challenges when writing scripts. "Sometimes we use a word in a script and someone says, 'No, no, no, you can't use that word. That's such a bad word in Mexico.' That happens all the time," the show's CEO, Carolina Guerrero, told me. But Radio Ambulante's strength, she said, is that the podcast seeks to "celebrate the diversity of the Latin American continent." Joseph Tovares, the former chief content officer and senior vice president of diversity and innovation at the Corporation for Public Broadcasting, says public media absolutely has an obligation to reach listeners in Spanish. But NPR is only one of the content-distributors in public radio. Tovares points to the work of the non-NPR service Radio Bilingüe, which is fulfilling that mission, as an example. The Fresno-based bilingual public radio network was founded in 1976 as a single station. It now owns and operates 12 stations and produces a daily call-in Spanish news show called Línea Abierta, which is broadcast across the country. Dolores Inés Casillas, associate professor of Chicano and Chicana Studies at the University of California Santa Barbara and an expert in Spanish-language radio, says Radio Bilingüe offers invaluable information to Spanish-speaking listeners, but most of its stations serve rural audiences. "So there is this major void of Spanish-language public radio news in urban areas," she told me. Tovares is skeptical about NPR's ability to contribute to the Spanish-language market. "I think NPR struggles to reach English-language Latinos," he said. NPR has seen growth in Hispanic audiences this year, but still, they make up a small fraction of the general audience. Only 6 percent of Morning Edition listeners are Hispanic, according to Nielsen data. The numbers are similar for All Things Considered. "I don't know if NPR is the right institution to do it," Tovares said of Spanish-language programming. "They could be a great partner, but they can't do it alone." Podcasts, such as Radio Ambulante, may be a riper opportunity. When they founded Radio Ambulante, neither Daniel Alarcón nor Carolina Guerrero knew how to produce audio. They taught themselves and are now teaching other Latin American journalists to tell stories in that medium. "We don't want to be a box to check," Guerrero said. "We want to be part of the mainstream." "I think anybody who has smart business chops is obviously thinking about this," said Maria Hinojosa, executive producer and anchor of Latino USA, a weekly program distributed by NPR. She produces Latino USA mostly in English, but says as an entrepreneur (her company produces the show), she's aware of the opportunities in Spanish-language content. She said NPR should tread carefully with content creation in Spanish, as it is. "The worst thing to do is just take English-language content and translate it into Spanish," Hinojosa said. "True respect for Spanish speakers means you do something that is respectful to them as an audience." One final point: Hispanics make up 6.1 percent of the NPR newsroom, according to the most recent statistics (compared with almost 18 percent of the U.S. population). While "Hispanic" doesn't automatically mean "Spanish speaking," among the multiple reporters and hosts I interviewed, there was one resounding consensus: NPR needs more Hispanic people in the newsroom. Only then can Spanish-language content become part of the conversation. Holly Pretsky is an intern in the Office of the Ombudsman. Special thanks to Sarah Wilson, Julie Rogers and the NPR RAD team and to Khalon Richard and Audience Insights. Copyright 2017 The Nielsen Company. May not be quoted or reproduced without the prior written permission of Nielsen.